Hi! My name is Jenni and I am a self proclaimed Disney addict. I am pretty sure that most of my friends and family members would wholeheartedly agree with me on this statememt. I have been married for 17 years to my Prince Charming (aka Chris). After a Disneymoon and five years of marriage, we welcomed Princess Alexa who will be a teenager soon! The most important things in my life are my Faith, my family, my friends, and my magical memories. I love traveling with my family, especially when we get to explore Disney destinations together! the Disney Dream last summer. As a client of mine, you can rest assured that I will strive my best to get you the best deal available. 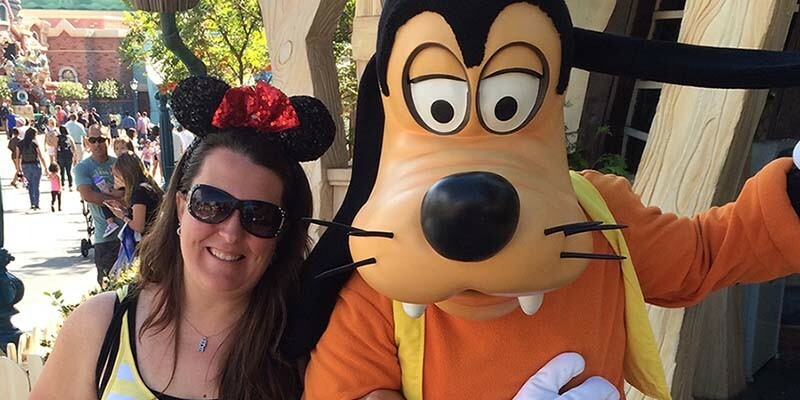 As a stay at home Mom for over 11 years, I have learned how to save money along the way for our Disney vacations. It’s a fun game for me to hunt down bargains, and that definitely applies to my Disney trips as well! If a better deal comes out after I book your trip, I will work to get it applied to save you even more money. I also offer specialized trip planning to help you plan the perfect trip for you and your family. We have traveled by ourselves and with as many as nine extra family members so I have experience with larger group trips as well. We have traveled through many different stages of our life and I would love to use that experience to help you create the perfect trip for your family. With experience at several different Disney resorts, and close to forty different Disney table service restaurants, I can give you first hand tips on ways to personalize your vacation to meet your specific needs. With all of the new and exciting additions to the MyMagic+ system, a trip to Disney can be a little overwhelming for some people. Let me take that stress out of the trip planning for you. I will help you select the perfect hotel, help you create a helpful itinerary, make all of your dining reservations for you, and schedule all of your fast pass reservations. All you have to do is answer a few simple questions for me and I will do the rest. You can just show up for your trip with all of your plans already in place, ready to enjoy the magic. My services are completely free to you and I would love to work with you to create your own magical memories while you are at Disney. I am a proud graduate of the Disney College of Knowledge and look forward to helping you make your own Disney dreams come true. Jenni was amazing! As a veteran Disney addict, I always do all the planning and booking. It was nice to have someone search and answer questions. She had valuable information and insight and was always willing to help. We were there at the time Hurricane Matthew decided to go to WDW and it is a trip we will always remember. Jenni checked on us daily and offered to assist in any way possible! Thank you Jenni and Pixie Vacations! You’ll be hearing from us again! Shout out to Jenni for helping us plan our Disney trip! There is no way it would have been as magical if it wasn’t for her time and effort she put into making the trip personalized and special for my family. Jenni was even available to answer question while we were in Disney! So very thankful for her help and looking forward to the cruise she has booked for us for next year! I highly recommend her services for any trip you want to plan! Jenni Borski was our Pixie Travel Agent and she was beyond wonderful! She set everything up for us and made sure we understood all of our options as we booked our trip. This was our first trip to Disney so we were clueless. We would have been totally lost without Jenni. We are extremely grateful for her knowledge, her patience and her kindness. We have recommended her to everyone we know. This was our family’s first “real” vacation. Great experience from start to finish. We were able to give our kid’s the trip of a lifetime. Thank you so very much!